We have had such a wonderful and busy year so far with weddings and events, and in between all of it we’ve gotten to meet some really amazing couples for their pre-wedding engagement photos. Before all of the hair, makeup, suits, ties, and gowns, we love getting a chance to spend some time with our couples just being them! Not only do we get to meet each other for some quality one-on-one time before the wedding, but it gives the future brides and grooms a chance to get comfortable in front of the camera. Engagement pictures can be used for all sorts of details throughout the wedding — Save the Dates, thank you cards, sign in books — or just a picture for your mantle to enjoy every day. 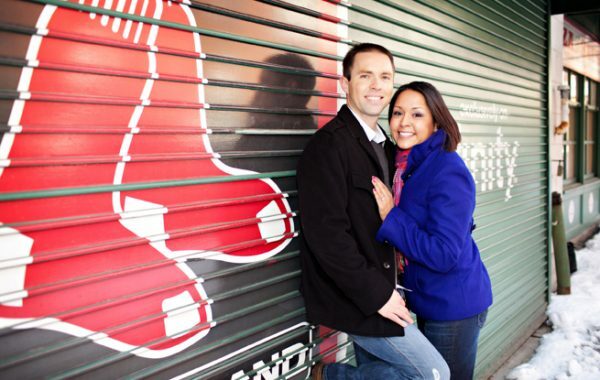 Because our office is located right on Newbury Street in the heart of Boston’s Back Bay, there are so many beautiful locations right around the corner to take our engagement photos. From classic Boston brownstones, to the bustling shopping areas on Newbury street, to the beautiful tree-lined parks on the Commonwealth Avenue Mall, each couple has the chance to get a little bit of everything for their engagement session. 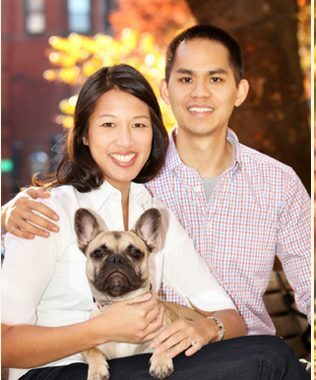 Below are just a few highlights from some recent Boston engagement sessions. Keep an eye out for all of these couples to make another appearance on the P+K blog after their wedding days — these are our future 2013/2014 brides and grooms! Wow! One gorgeous couple after another. Love them all! looking forward to working with you next month at the Four Seasons Hotel Boston! Back Bay Boston engagement session photographed on Newbury St.